Brenton “Brent” H. Wakeman (Jane Munday wifeline), 71, of Nampa, Idaho, passed away peacefully on Sunday morning, July 15th, 2012, surrounded by family. Death came from complications due to heart and kidney failure. Brent was born June 8, 1941, in Idaho Falls, Idaho, to Herman and Verda Andrus Wakeman and spent a happy childhood on a ranch in Grays Lake, Idaho, which always remained dear to his heart. While attending Soda Springs High School, Brent contributed to the Football team, Track and Field, and the Band. He continued his education at Carbon Jr. College in Price, Utah, where he played football. He then received a Bachelors Degree of Business Management at the University of Utah in SLC, Utah. Brent spent his life with his high school sweetheart, Caroline Yost of Bancroft, Idaho. They recently celebrated 52 years of marriage, having been sealed in the LDS Salt Lake City Temple. Following college, Brent began work with the Coleman Company, managing factories in Cedar City, Utah, and Wichita, Kansas. He then engineered and put into operation his own sewing factories in Soda Springs, Idaho, Canby, Oregon, and Salem, Oregon. He retired in Nampa, Idaho. Brent’s life was filled with travel, having visited all fifty United States, as well as having extensively toured Europe. He and Caroline also visited all 40 County Seats of Idaho in one summer, an accomplishment which they enjoyed very much. 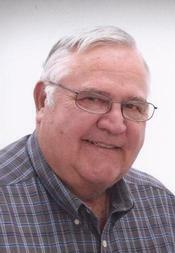 He was a great outdoorsman, enjoying camping, fishing, hunting and RV’ing. Brent belonged to the Church of Jesus Christ of Latter-Day Saints, most recently a member of the Nampa 35th Ward. He loved to give service in quiet, unpretentious ways and generously donated of his means. He was a man of few words, yet being gifted with a brilliant mind, his well-chosen words showed great insight and thoughts which ran deeply. Brent is survived in death by his beloved wife, Caroline; four daughters, Wendy Lynne (Rod) Peatross of Idaho Falls, Idaho, Leslie Adell (Mark) Anderson of Canby, Oregon, Ardith Anne (Brian) Haws of Salem, Oregon, and Suzanne Marie (Duane) Peck of Kuna, Idaho; and one son, Wayne Brent (Lis) Wakeman of Kenmore, Washington; a beloved sister, Sandra (Robert) Christopherson of Farr West, Utah; 16 beloved grandchildren of whom he was most proud; and 5 sweet little great-grandchildren. He was preceded in death by his father and mother, and his parents-in-law, Glenn and Frances Yost. Services for Brent will be held Saturday, July 21, 2012 in Soda Springs, Idaho, at the Bailey Creek LDS Church at 361 S. 3rd East. The Grays Lake Ward Bishopric will be conducting the services. The family will visit with friends at 9:30 am at the church, with funeral services immediately following in the chapel at 11:00am. Interment will be at the Fairview Cemetery in Soda Springs. In memory of Brent, perhaps you might share a quiet kindness with another who is in need. To share your sympathies, condolences and memories, leave a comment below or visit the Sims Funeral Home website.